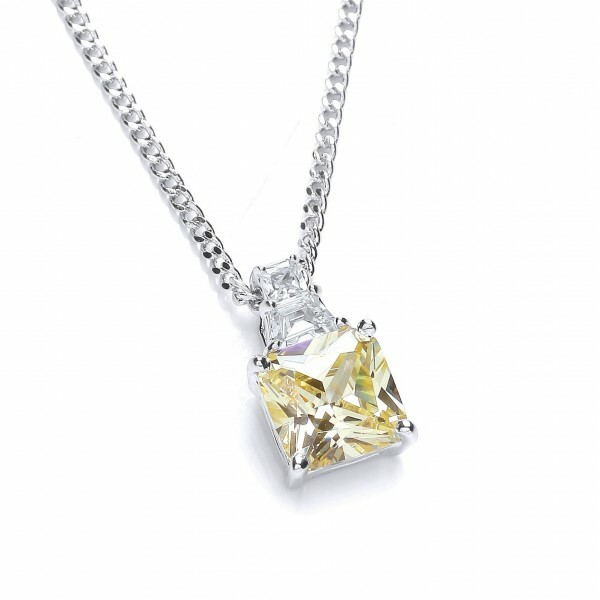 With such a huge trend for yellow diamond, this stunning Buckley London pendant set with a hand cut flawless canary yellow princess cubic zirconia, suspended on an exquisite curb chain, is the perfect was to add an accent of elegant colour with a touch of luxury. Chain length is 40cm with a 5cm extender chain. Matching earrings (CZE993) also available. Please note that the stone colour may vary slightly to that in the image.